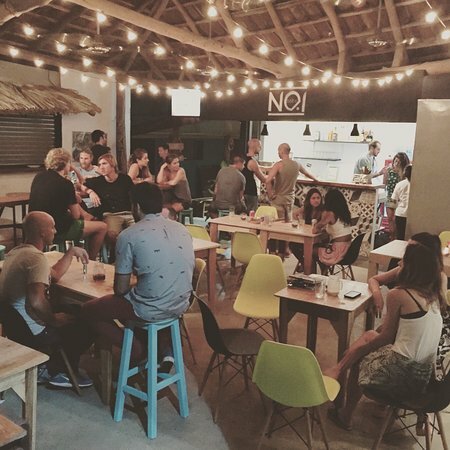 NOI Bistro Tamarindo is a small and beautiful restaurant, situated in the center of Tamarindo, whose delicious foods and wonderful services you should not miss out on. Lots of people frequent the spot. So, you should make a reservation in advance. 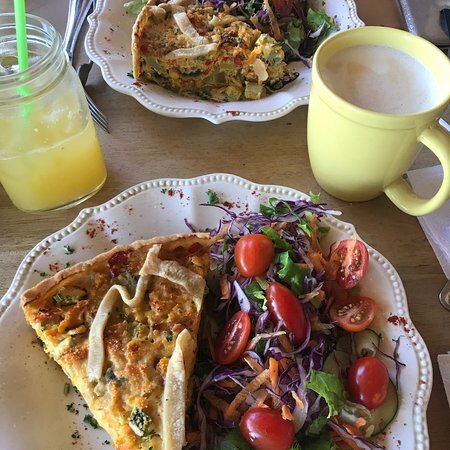 The restaurant offers wonderful breakfast, lunch, and dinner for all ages. The menu offers tasty dishes, such as burgers, tuna, Argentinian steak, fried eggs, chicken schnitzel, salad, potato, fries, and more. The food is served in large portions. You might not be able to finish your entrée unless you consider sharing it with the person at the table with you. Burgers are out of this world; they are handmade and tasty. You can order tender steak accompanied with sweet chili sauce. The chicken schnitzel is best eaten with fried eggs and chips. This meal is unbeatable. Aside from the food, you can order coffee, drinks, and beer; cocktails are excellent. The staff is very professional. They quickly take orders and deliver the food in a timely manner. The owners of the restaurant, a lovely couple, are very kind. They always ensure customers are treated well and satisfied with their orders. They are very careful to deal with clients who are allergic to some foods; they explain their cuisine, so that the clients can get to know what is best for them. Thanks to their generosity, they freely give some meals to the clients as a thank-you. The restaurant is well decorated inside. As you sit outside, you’ll get to watch folks hanging out with their partners—you might as well hang out. If you are from Brooklyn, you will be delighted by the Brooklyn swagger of the area. Plus, there is an all-night live music performance that you won’t afford to miss out on.